Preferred by professionals. 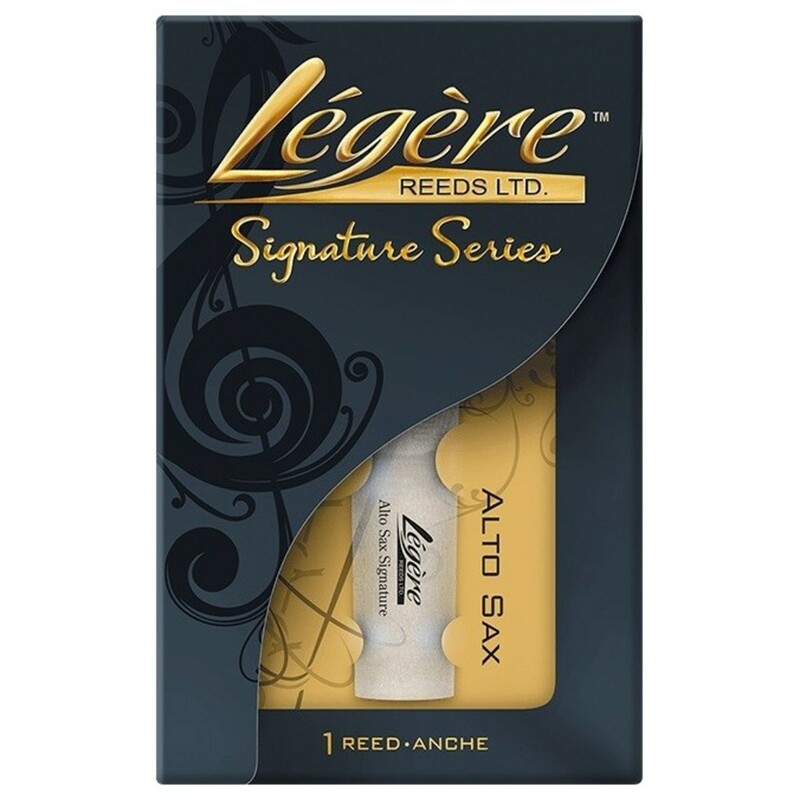 The Legere alto saxophone Signature synthetic reed with a strength of 2 produces a bright yet focused sound, perfect for both jazz and classical performances. Featuring a stiffer material which is cut thinner than traditional cane reeds, the flexibility across the tip of the reed is overall increased. This results in a full spectrum of colourful overtones achieved with minimum effort, whilst also allowing the reed to be easily played and beautifully free-blowing.